If you have any health issues that could be irritated by a trip to the steam room or sauna, don't push your luck. Saunas and steam rooms can cause very serious side effects for those with specific health issues, including people with heart problems and pregnant women. 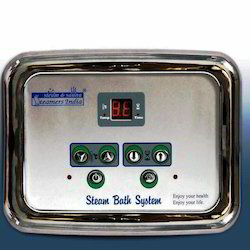 We are a trusted name in the industry for manufacturing and supplying Steam Bath Generator. The offered generator is used for generating steam for steam bath chambers. This product is exceptional in terms of quality and is made from high-grade stainless steel. It offers hassle-free operations and is filled with fresh water after every use. We are specialized in providing after sales services as well. Keys for a steam room light, Auto drain down etc.